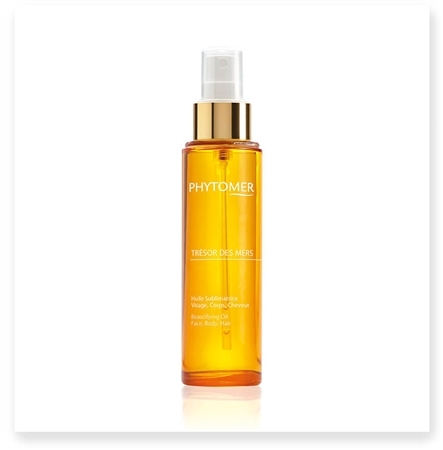 Five marine and plant oils, to quench, nourish, repair and protect skin and hair. This beautifying dry oil enhances the beauty of the face, body and hair with its satiny texture. 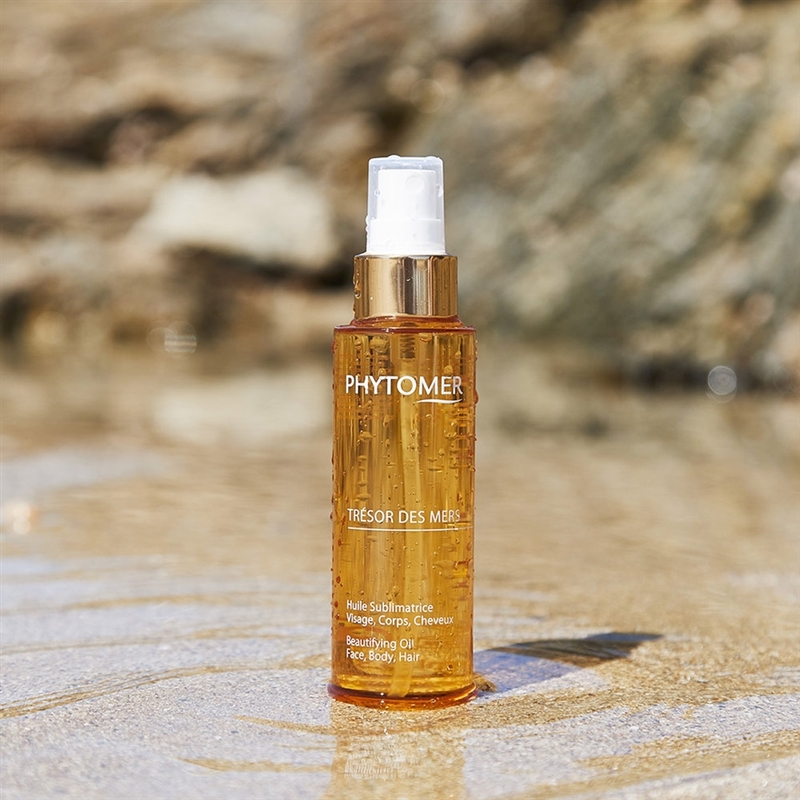 It infuses all the benefits of marine and vegetal oils to moisturize, nourish, repair, and protect both the skin and hair in a single step.Subtly golden, this beauty elixir illuminates the skin with light while leaving a divine summery scent. Spray on face, body and hair. Apply all year round, both summer and winter. Designed for all skin types. • Mekabu Oil - extracted from Weaving Algae, a laminaria algae with exceptional moisturizingproperties. Reinforces cell cohesion and epidermal-dermal connection to limit water loss in the skin. • Glasswort Oil - improves moisture circulation and storage of water and urea in the epidermis while strengthening the lipidic barrier. • Sesame and Macadamia Oil - intensely infuses the skin with essential unsaturated fatty acids to replenish lipids in the skin. • Buriti Oil - high in antioxidant carotenoids, which gives it its red-orange color. Traps free radicals and protects cells against free radical attacks.